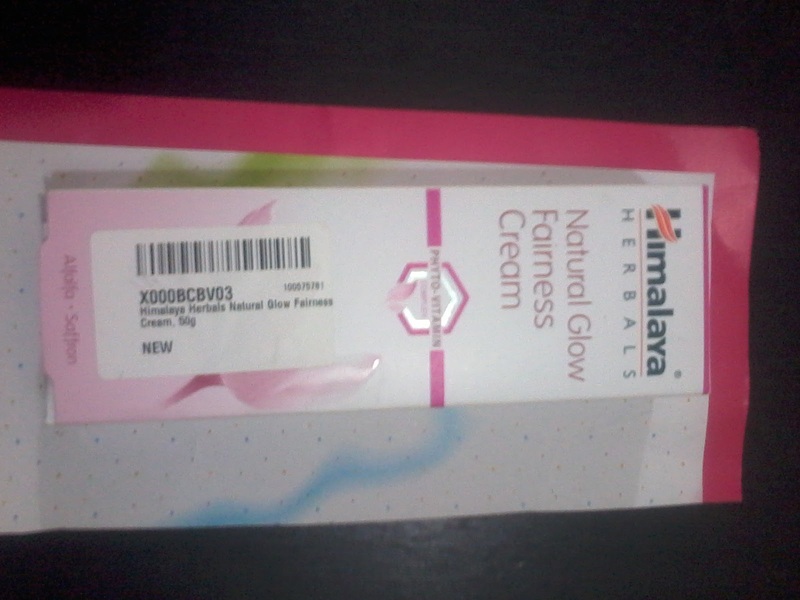 Last week I brought a new cream , Himalaya Herbals Natural Glow Fairness Cream . 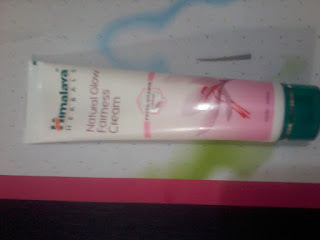 Its a good day cream suitable for all skin type , specially for dry skin . Its an advanced skin lightening formula enriched with a phyto vitamin complex , containing a combination of Alfaalfa, saffron and other vitamins . Alfaalfa inhibits melanin synthesis and saffron helps to lighten skin tone . 2.It helps to reduce blemishes and dark spots . 3.It helps to reduce under eye dark circles. 4.It nourishes the skin to keep healthy . 5.It moisturizes without leaving skin greasy . One needs to use it twice daily to get good results . Price Rs 80 for 50 gms tube . I am using it past one week , its good . 1. Its a good day cream . 2. Price very economical , much less than creams of other brands . 3.Since its a herbal product one can use it without fearing any allergic reactions . 4.Does not contains any bleach. The product claims to moisturize the skin without leaving skin greasy , which is not true . When the cream is applied the skin feels dry and good but after some time it feels bit greasy or oily . Since my skin is oily I felt more greasiness . So I thinks its good for dry or normal skin but not for oily skin. Conclusion — Its an excellent day cream in affordable range suitable for dry and normal skin . Greasiness after sometime is a big no no. I would stay away from this nice review dear. Thanks , I feel its the responsibility of bloggers to give real n true review of products .